Let's take the party outside! 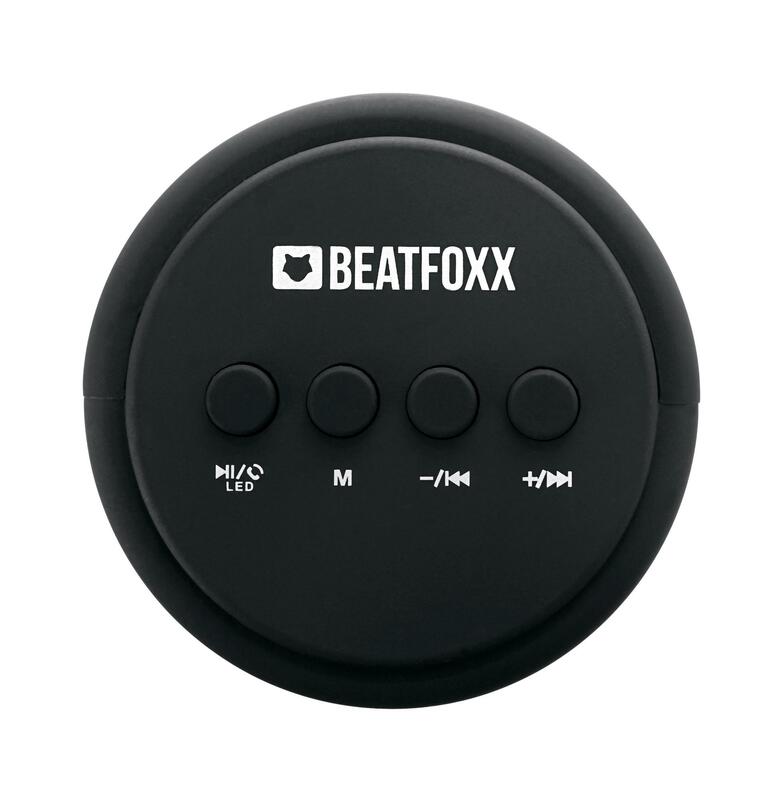 The Beatfoxx LEDBeat-Pro can turn any space into a positive party space. 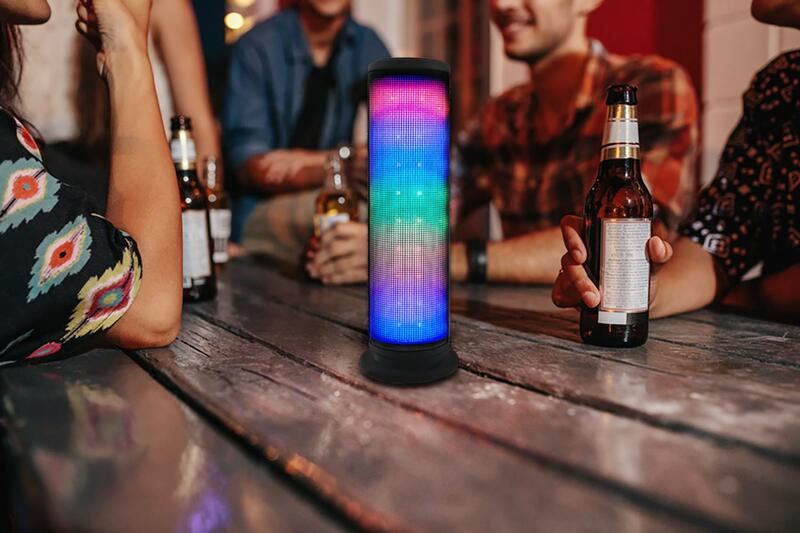 With a strong battery and built-in radio, you can keep the party going for hours on end! 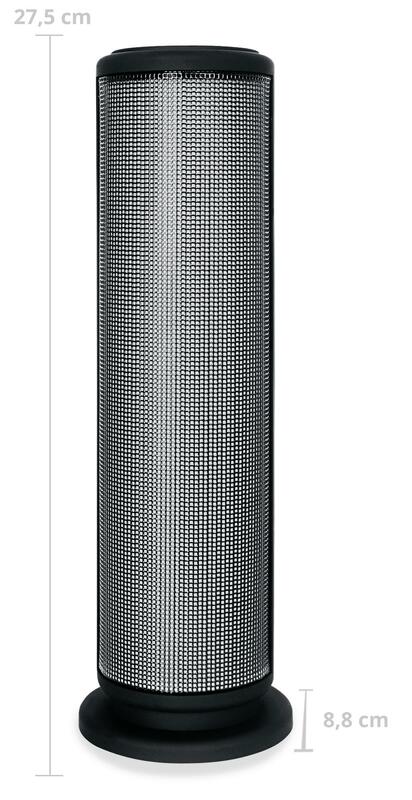 The built-in LEDs on the front of the LB-250BT provide you with an instant and continuous fun party effect. The green, blue and red lights sync to the sound of the music. 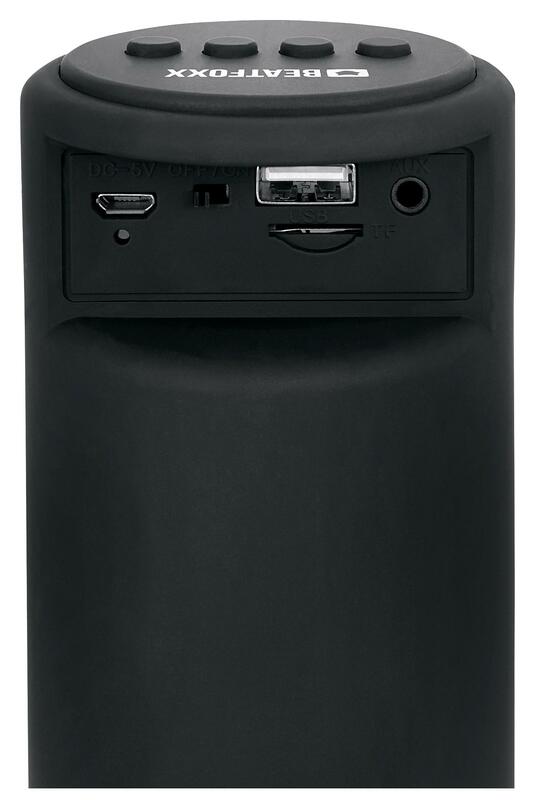 Two 3-Watt full-range speakers give this compact Bluetooth® speaker has a powerful sound – drowning out many other Bluetooth® devices in its class. With the Bluetooth® wireless connection, the LEDBeat-Pro can be used with other devices such as smartphones, tablets, laptops and many other Bluetooth®-enabled devices. The 10 m range ensures absolute freedom of movement. When you want an even larger music selection, you can take advantage of the built-in USB and SD slots. 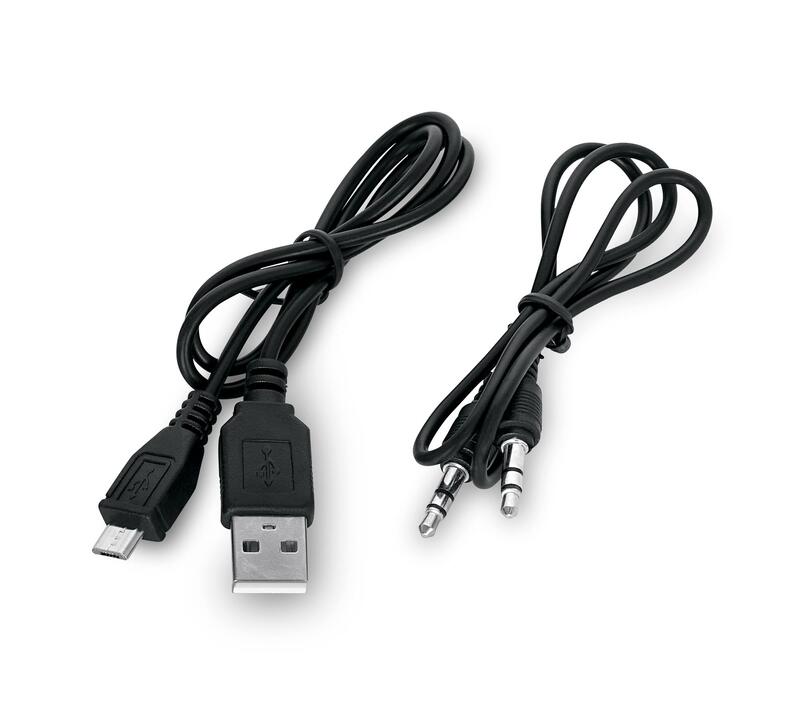 You can also connect devices to the speaker with the included 3.5mm AUX cable. Thanks to the built-in FM radio with 20 station presets, you won't be left high and dry. You will always have good stations at your fingertips! Maximum power! The powerful 1200 mAh battery provides about 2.5 hours of music enjoyment (depending on the selected volume) – and it only needs 3-4 hours for a full recharge!